Can the president’s Twitter followers strengthen his hand on the fiscal cliff? 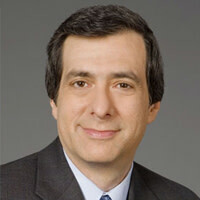 Howard Kurtz reports. It was a startling moment, but almost no one realized that a sea change had occurred. The president of the United States was urging the great American public to rise up and demand change through social media. Heading for the fiscal cliff? No problem. Just start tweeting! In fact, the president himself is answering questions on Twitter at 2 p.m. on Monday, to make the case in 140-character bursts. Twitter can indeed be a potent weapon. And the fact that the White House is now trafficking in hashtags shows how technology has changed the art of persuasion. The hashtag, a way of searching Twitter for like-minded posts, is the new bumper sticker. My2K invokes the White House argument that the average middle-class family will pay $2,200 more in taxes if Congress fails to act by year’s end and the country slides off the fiscal cliff. Gone are the days when Ronald Reagan would point to a family with a heartwarming tale in the audience; now they appear almost instantly with the speed of a mouse click. Hashtag warfare isn’t brand new; both presidential campaigns used them, sometimes in a mocking tone, and during the payroll tax-cut battle last year, the White House used #40dollars to tout the average weekly benefit of extending the cuts. Obama himself has a broad reach, with 24 million Twitter followers and nearly 34 million likes on Facebook. The right, which wants to extend all the Bush tax cuts, including those covering the top 2 percent, isn’t ceding the playing field. The Heritage Foundation tried to hijack the hashtag by buying #My2K as a “sponsored tweet,” pushing its message up to the top of any search. When I checked the other day, the think tank’s tweet (“4 Reasons Warren Buffett is Wrong on Tax Hikes!”) was just above Obama’s. Anti-tax activist Grover Norquist told me he tweets his messages three times a day to reach shifting audiences. The fiscal cliff showdown is the first test case of whether Obama can retool his vaunted campaign apparatus for his second term. The Obama campaign trounced Mitt Romney on the digital front, in part because it had four years to prepare for Election Day and in part because the team was always more enthusiastic about the clout of social media in fundraising, registration, and message delivery. In recent weeks, Messina has also emailed Obama supporters and asked them to share a graphic making the president’s case on Facebook and Twitter, or to make their own YouTube videos. The graphic includes such administration talking points as “Eliminates tax cuts for the wealthiest Americans.” It also includes this dubious assertion: “Cuts spending by MORE THAN $3 TRILLION—including cuts that President Obama has already signed into law.” Which cuts? And if they’re already law, they’re not part of the current negotiations with the GOP. In an earlier email, Obama for America asked supporters to check the boxes that apply to them—Jewish American, Latino, LGBT—and describe in detail how many hours they volunteered and what could have prompted them to increase their level of engagement. It was a transparent effort to collect the addresses of the most enthusiastic supporters for future appeals. Or so he hopes. The question here is whether it is possible to generate much enthusiasm in a grassroots army once its reason for being—electing a president—has passed. A campaign is a natural melodrama with a binary choice: either your guy wins or the other party seizes the White House. Legislative battles are drawn out, incremental, and messy. Once Obama and House Speaker John Boehner get down to arguing over specific loopholes and spending reductions, are tens of thousands of volunteers going to work the phones to pressure Congress? Twitter may turn out to be an important component of the presidential arsenal. But whether it can change the votes of lawmakers, well, #wejustdon’tknow.